Arc System Works had promised to not make DLC characters for the next Blazblue, since many complained about the “Extended” version that included all DLCs + new exclusive content (just like with MvsC3). 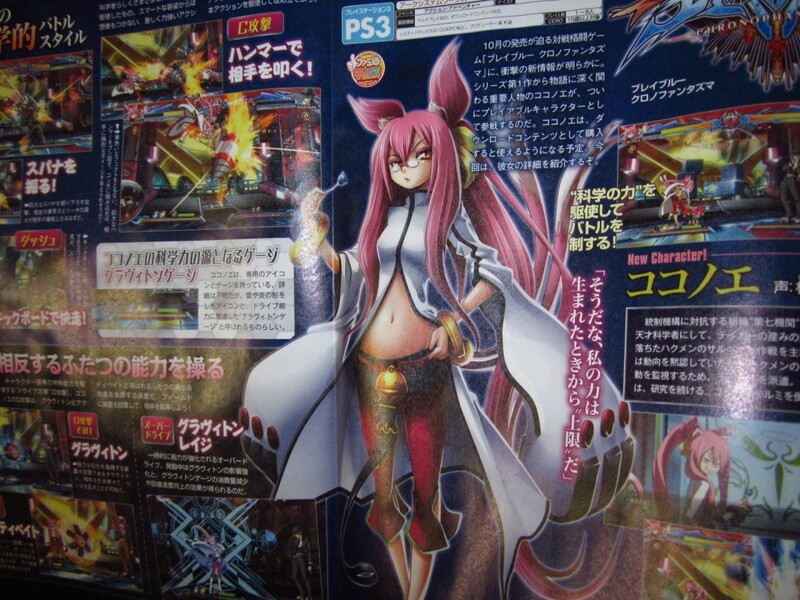 However, The console version of Chrono Phantasma isn’t even out yet and they have already gone back on their word in this week Famitsu reveal of Kokonoe as a DLC. She will attack using a weird drill hammer thing and her Drive will use her own special gauge. It is not explained how it will work, but it is teased she will use thunder and flame magic. Finally, after almost a week worth of gameplay, I decided to review this game. Even so, I still get the feeling that were many important stuff that I didn’t discover yet. This proves how deep this game can be!